ASLE TOJE, Research Director at the Norwegian Nobel Institute: We cannot expect that our allies will want to sacrifice money and lives to protect the territories we are not ready to protect ourselves. Norway must be present in areas close to us – especially in the North – there we’ll be playing on our field, and we must be the best. It’s not like this now. But it is necessary and it will happen very soon. Moreover, according to a group of defence experts, Norway needs to provide about two billion kroner for those purposes. According to the head of the authority, it will have to do a complex and large-scale work that will take 10–20 years. “Norway faces new and more complicated security and defence challenges, yet we currently don’t have sufficient capacity [to meet them],” said the Minister noting that ways to deal with the issue had been debated for more than a year. In spring, the Chief of Defence and the Ministry of Defence plant to present to the country’s Parliament a new long-term reform plan to convince it to provide more funding to the military authority. That is probably the reason why we see the increasing hysteria around “the growing Russian threat”. Among her priorities, Søreide named improving defence capacity of the country’s northern areas bordering with Russia and expanding the intelligence potential. This year will see more flight hours for Orion maritime surveillance planes, and the submarine fleet will be more active as well. 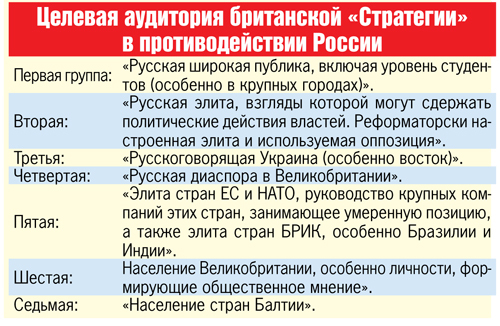 “The strategic military balance in the North is shifting towards Russia. The situation is not new, but the new factor is the crisis of trust between Russia and the West”, Søreide pointed out. Even earlier Ine Eriksen Søreide spoke about the worsening relations between Norway and Russia due to the “growing aggression” from Moscow that was connected, according to Norway, not only with the Ukraine crisis but also with Russia’s increasing activities in the Arctic region. Probably, Norway thinks that one of the signs is the mass construction of border control ships and boats planned to be used in the Arctic which is probably tantamount to “aggression” for Norway. It so happens we are not allowed to build boats and research ships (somehow, Norwegians thinks that rescue and research ships are for military or surveillance purposes) because it spoils our relations with our neighbours. At the same time, the Norwegian defence suggested a considerable expansion of its units in the north of the country. According to TASS, an increased input of the kingdom in the NATO European ABM system is also being considered. 1. Norway considers Russia to be the main source of potential aggression. 2. 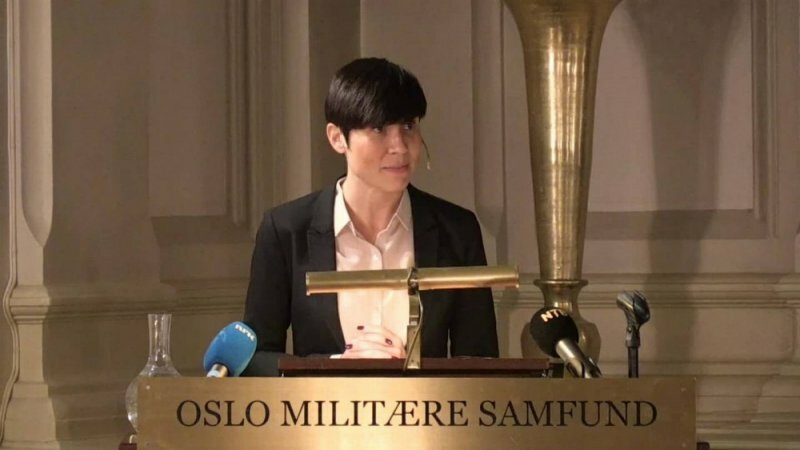 Norway boosts funding for the military: according to Søreide, her ministry will receive 49.1b kroner ($ 5.5b) from the budget in 2016, 9.4% more than in 2015. 3. By a requirement from the NATO, Norway plans to expand its military budget from the current 1.45% to 2% GDP by 2024. 4. Norway considers increasing their input in the NATO European ABM system. 5. 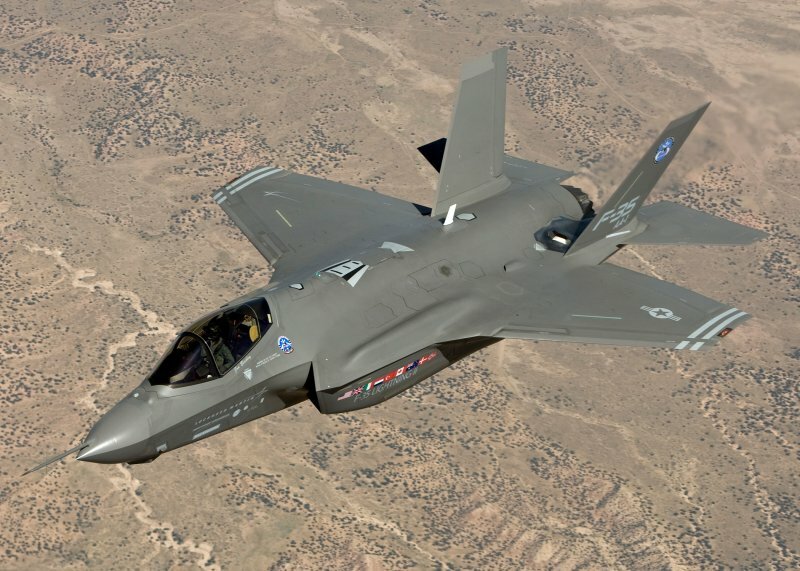 Norway plans to buy 52 F-35 fighter jets from Lockheed Martin (US), the first ones to be already supplied this year. According to Søreide, the government decision to buy 52 F-35 is caused by the “obvious demonstration of force” by Russia. It is interesting what has frightened our northern neighbours so much? Why are we chosen as the “arch enemy”? Was it influenced by the information war that is seemingly waged with our country again like in the “iron curtain” years? 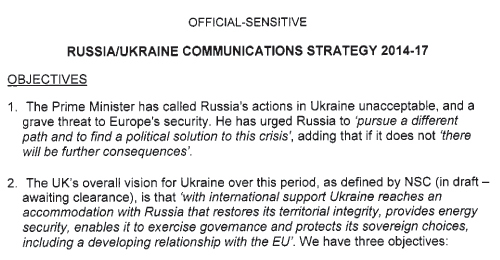 Back in 2014, British authorities already started implementing the Communication Strategy for Russia/Ukraine 2014-17. The title shows that the programme will be effective until 2017 at least, according to KP. And if so much effort and funds is invested in field work in our territory, our information space, then it is scary to imagine how many funds are being spent in the Western countries to create the image of the “Russian enemy” and which methods are used to achieve it. One of the title pages of the Strategy starts with a rationale for choosing the listed project goals. - “We recommend starting with… presence in Russian-language social networks Vkontakte, LiveJournal.ru and Odnoklassniki , implementing the three-stage approach set by Her Majesty’s Government (HMG) for a long-term success,” write the authors of the Strategy. They further write that the programme is supposed to take not months but years and will require considerable resources. Who will be spreading the “right values” as the British understand them? “A multi-disciplinary team including Foreign Office and Ministry of Defence employees” clustered into “4–6 main groups” as well as involved third parties, naturally, “with a possibility for expansion”. As far as the personnel are concerned, they will be employees with a C4-level command of Russian living in London, Moscow, and Kiev. 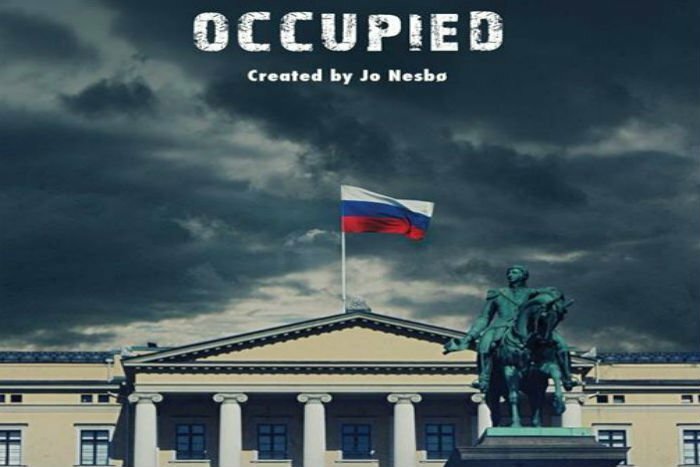 Speaking about Kiev, a lot of Ukrainian refugees arrived in the Murmansk Oblast and some of them tell that, apart from well-known TV propaganda, there is also a lot of activity in the cyberspace. You could notice yourself that, once the word “Ukraine” is mentioned in the largest Murmansk communities, people will immediately appear, telling us how bad we are, how unlucky we are to live in Russia, criticising our authorities and our life. In the British Strategy, we can see master classes, training courses for Ukrainian civil servants, preparing a network of Russian journalists, and conferences and lectures for those who will work to achieve the Strategy goals. It all reminds us of the seemingly forgotten past of this country, when we, then the Soviet Union, we were under information, economic, and military pressure. We remember well what it led to and therefore should not fall into the same trap. Understanding where our “friends” aim at will help us identify an information attack and, if not resist it, not to swallow the bait, at least. The Strategy tells there will be information attacks on promotion of the Russian language and culture, on protection of Russians abroad, and on our traditional social values. They will not forget to downplay our role and achievements in World War II and in fighting fascism and try to ignore the fact the Russia was a victim of Western aggression. Поздравления с Днем Победы от Владимира Чуба! Завершился региональный конкурс "Педагог-психолог Мурманской области – 2012"